Activities to develop students’ memorization of the basic division facts to 144 ÷ 12. Halving strategy for ÷2 division facts. Place value strategy for ÷5, ÷10 division facts. 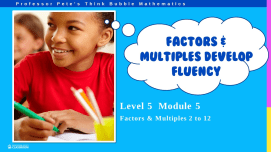 Relate to 3x multiplication facts for ÷3 division facts. Halve and halve again strategy for ÷4 division facts. Special cases of 0÷, ÷11 and square roots division facts. Check the tens or finger game for ÷9 division facts. 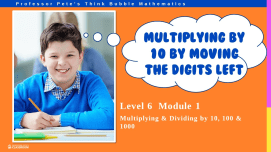 Relate to 6x multiplication facts for ÷6 division facts. Relate to 8x multiplication facts for ÷8 division facts. Relate to 7x multiplication facts for ÷7 division facts. Relate to 12x multiplication facts for ÷12 division facts. Revision of all division facts. Record students’ times and scores to track improvement of speed and accuracy. Set of 5 assessment tests to check on how students are progressing with each of the units in the Division Facts series of worksheets. Set of 10 homework sheets to match each of the sets in the Division Facts series. Contains information for parents.